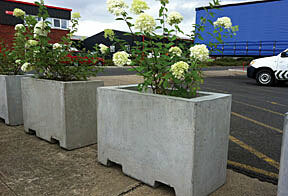 Polysafe concrete security planters are perfect for creating perimeters, and controlling vehicle access. They look more attractive when filled with plants and flowers, when compared to a solid concrete barrier. There are internal water drainage points to the ground within all the different planter designs by Polysafe. 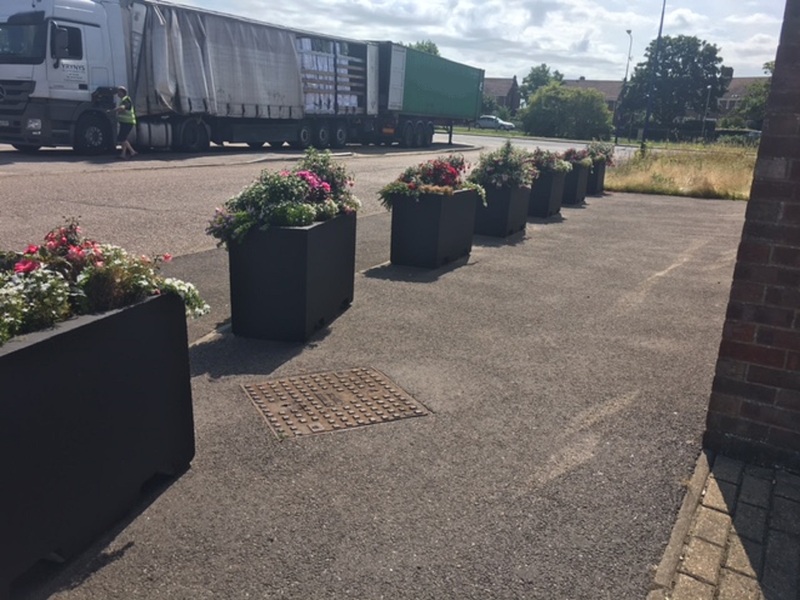 Our concrete planters will also protect your property or land, and can be supplied painted, if you have a specific colour* in mind. Take a look at our standard sizes and customer images, then visit our before ordering and site preparation pages for advice on placing your order. All measurements are in mm. Don't see exactly what you would like? Call our sales team on 01778 560555 to discuss possibilities! *Painted concrete planters are subject to colour availability, please contact us for more information. A painting charge is incurred.